Alliance One is an owner-operated, New York based invoice factoring company, with over 40 years of experience in the financial markets. We specialize in factoring to small and mid-sized businesses. Invoice Factoring and Account Receivable Financing has been around for over a 100 years, it's a time-honored industry that focuses on increasing businesses working capital. As business owners, we know running a business isn't always easy. Please click on our video to find out more about how invoice financing or factoring can help you. 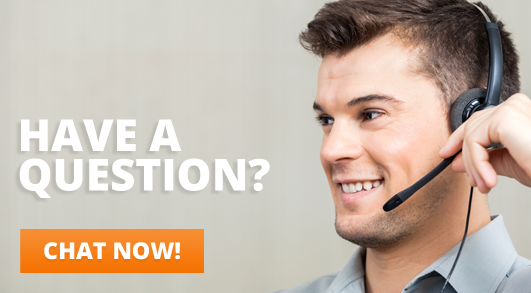 If you have any question at any time, please click on the link to have a one on one Live Chat Session with one of our professionals. Before you leave, please take a minute to join our mailing list. We want to keep you informed of the changing times. Enjoy a positive cash flow. Experience faster growth and development. Positively impact the communities in which they work. Partnering with you to understand your needs and goals. Developing customized financing programs using factoring (accounts receivable financing). Offering good old-fashioned personal customer service. Why wait for customers to pay, with our invoice factoring program, you can get paid in advance up to 90% of the invoice value. We offer rapid factoring solutions for startup companies and to long term established business. There are many ways to maintain a positive cash flow. We know that getting paid on your invoices or having to deal with account receivables can be time consuming and tricky. Account Receivable Factoring is when a company sells its invoices or account receivables at a discount to another company. You get paid on these invoices immediately; the factoring company will wait to get paid on the invoices that they bought from you. This allows your company to have access to continuous cash flow. We’re an owner operated company; we know how to treat our customers. We believe in customer service, we build friendships along with assisting you in building your business. We do not sneak, hidden fees in our agreements, we do not tease you with a rate that we cannot deliver on. We give you credit insurance on every invoice at no cost to you, we are a non-recourse factoring company, which simply means if your customer becomes insolvent, even after we funded you on an invoice, we do not come back to you to re-coup this money. Our corporate office is located on Long Island NY, right outside to New York City. New York is the financing capital of the world. When you are looking to finance your company, you want the assurance that we can fund your account no matter how large your invoices might be. New York and New Yorkers are known as the city and the people that never sleep. When it comes to financing your account, you want fast moving people working hard for you. As a privately owned company, we can custom tailor a program that’s best for your company, we do not squeeze you into a program that’s not suitable for your needs. We do not penalize you for not meeting a certain dollar amount every month in factored invoices. With Alliance One, you just need to sell us ONE Invoice every 60 days, for any dollar amount. We have a simple four page agreement, that is simple to read, with no legal tag lines to trick you or to disguise hidden costs. With Alliance One, you are assigned your own personal account representative. You will speak to a live person, every time you call.